Awesome! How about some portraits! Thanks for the comment. Unfortunately, I just don’t shoot people unless it is a family occasion! Really? Is that out of principle or just because thugs turned out that way? I am just really interested to see what skin tones look like when exposed with infra red. and search back thru my OLD posts you will find a lot of samples of IR people shots and what you can expect. Hi Mark, I’ve owned an infrared dSLR before in the canon system but I’ve now fully switched to Fuji X (x-e1). It’s great to see the results you’re getting with your conversion. Was there a reason you decided to convert your X-Pro rather than X-E1? And how does the conversion affect the hybrid viewfinder? Obviously you still have your visible light optical view but does the electronic view closely match the IR output? Sounds like the best of both worlds :). Oh and if you get a chance to borrow an XF 14mm, could you test it for the hotspot? Is an amazing lens, I’d love to hear if it is suitable for IR too. Ryan, I chose to convert the X Pro 1 over my X-E1 due to the fact that the X-E1 has the electronic remote shutter release and as such has turned into my main camera. The IR works with the hybrid just like the LCD and displays the IR image perfectly when switched over. I have put out a request for anyone who has a 14mm lens locally to let me try it out with the IR. I will purchase one if it works! I’d loan you mine buddy but I’m in Australia :(. Thanks for the info though, an IR Fuji will be on my wish list! Nice thought! You know, there is NOBODY in my area here in the Low Country of South Carolina who is using this system! Mark, Thanks for posting that. I currently use the stock X-Pro 1 with R72 filters for IR. Can you give me an idea of the difference in sensitivity at IR since you got the mods done? Typical exposure? I have not tested the IR with my 14mm yet, but will do so when I have some sun. No leaves out here yet, so not best IR time of the year. The good 18mm test shot was at ISO 400 f/4 and 1/800s. The B&W top image of the lake and oaks with the 35mm lens was at ISO 640, f/8, 1/800s. I didn’t really check the ISO I just picked up and shot. The B&W image was the 1st image shot with the conversion. As you can see, hand held images are the rule here! If I had a 14mm I would run some IR tests on it. I have asked around, but I think that I am the only one in this area of the state that uses this system! I’ll try and run some IR tests with the 14mm next time the sun shines Mark. Thanks for the update on the exposures after the mods, that is a huge improvement! I think before the mod that R72 exposures needed about 2 seconds at f/5.6 ISO 400 or 800, so I always needed a tripod. Mark, the link isn’t showing for me? Thanks Mark, it looks superb doesn’t it? It sure does. Plus it is a real pleasure to use… I wrote a blog post here last year about it called “Going Back To Momma”. I’ll check that out Mark. 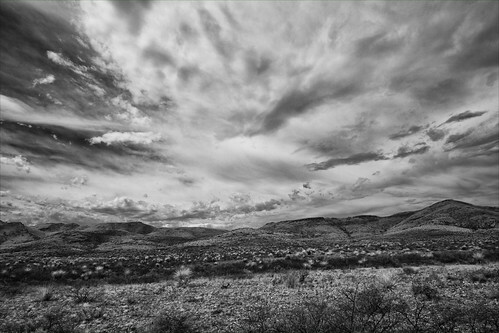 Although I have a Fuji X-Pro 1, I am not in the position to sacrifice it for dedicated IR work. 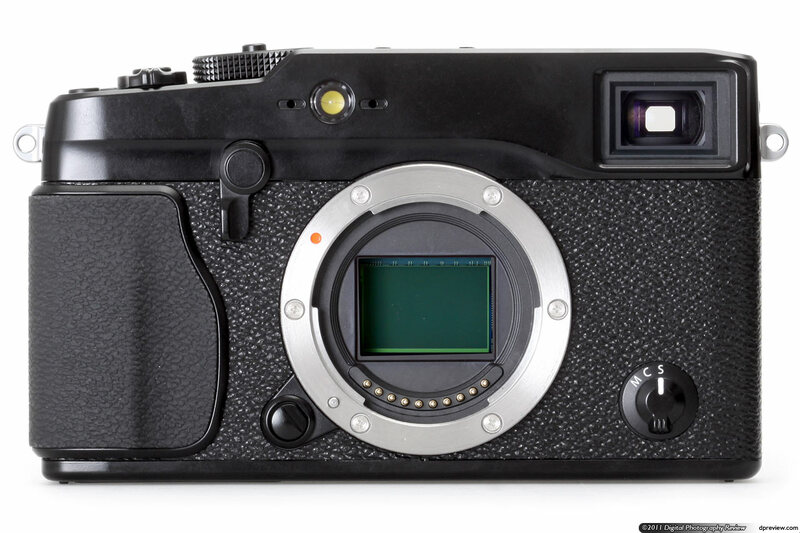 However I am considering doing so with a Ricoh GXR M Mount (a sensor module for the GXR which takes Leica M series lenses). The M mount module is relatively inexpensive now, and a second one could be sacrificed for IR work and still retain the original for colour work. just returned from out of town and saw this article. I knew you said you were going to do this some months ago so glad you finally went through with it. i am considering to do this with my x pro when the pro 2 comes out. i seem to have quite a sentimental attachment to the camera. Also, i did some IR and used the 18-55 so now part of your post make sense to me with the Hoya 72 filter. I will try again with the 35…wite balance set at 2500 you think? Yes John, just set it at 2500K and play with the color by adding a little green! Each camera is different and you will need to experiment a little with the color adjustment though…. You too! It is rare to run into others using the various Fuji X systems out and about! – I did not see that the MaxMax.com offers the 720nm, but has a 715nm filter. What is the difference between the two IR filters, or are these filters the same thing? – You stated that converting the Fuji X Pro I was difficult for MaxMax. Would they be willing to convert yet another Fuji X Pro I or not? It’s not listed in their camera convert list. I know that it is more expensive because the conversion is more difficult. – When you talk about the various lens for the Fuji X Pro I that work for the conversion, are you discussing them in the context of using them in their normal state or did you have them any of them calibrated specifically for conversion with this camera? 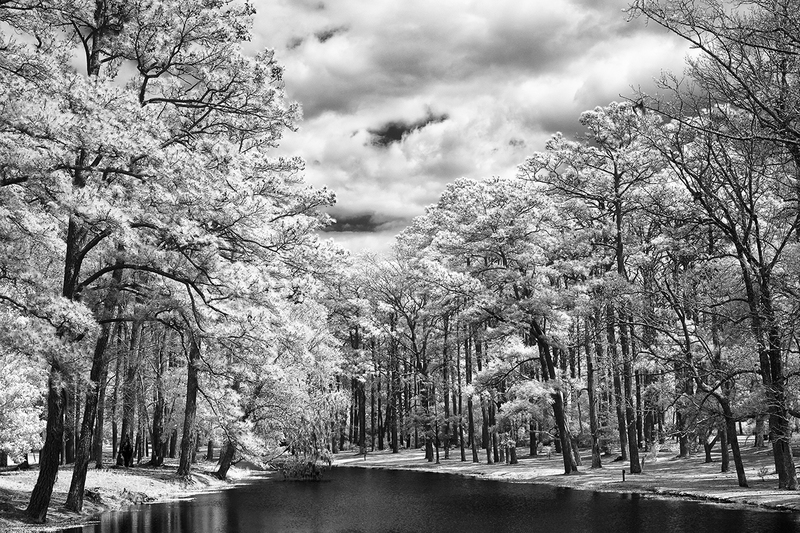 – With my converted Canon Rebel Xsi to infrared, I can’t use auto focus with any lens. If I understand you correctly, would I be able to use auto focus with any of the recommended lenses for IR on a converted Fuji X Pro I? Thanks for your help. And incidentally, I’m so excited to have been introduced to your blogs. I’m a relative newcomer to infrared, so I’m eager to learn. Think I’ve found a new photography niche passion in infrared. Love your blogs! Patricia, 720 and 715 are the same. Call them and ask to talk to Dan and he will fill you in. The lenses were all tested on the IR body and I was looking for hot spots. Take heed of this as some of the fuji lenses DO NOT WORK IN IR!! Lens calibration is not really an issue for auto focus as the camera is using contrast focusing and it works regardless of the light spectrum! Yes, you will be able to use auto focus and hand hold as well! There is another company out there who is doing conversions on this camera. Their web site is: and they are offering what is called the 2 spectrum conversion which is basically a full spectrum conversion plus all of the other standards. If you tell them my name and web site they will offer you a discount. I have not used them yet but I will and I have heard good things about them. The other company (LDP) did my camera and even though it cost so much I am extremely happy with the work! Let me know which way you go! Mark, I believe you inadvertently missed giving me the link to the other website conversion company. Above you said: “Their web site is: and they are offering….” There is a missing link. Can you please provide it. Thanks. Great posts in your blog, very informative! 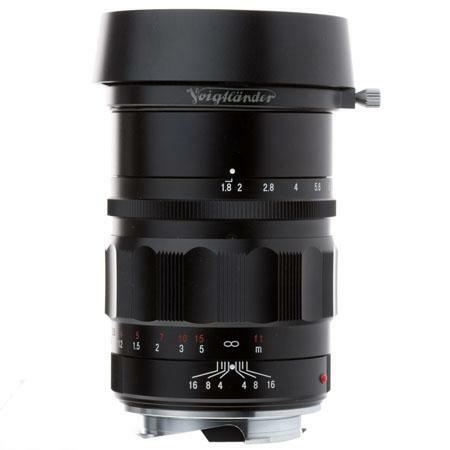 I am pondering to buy a new lens for myy X-Pro1 and I noticed that you have both 55-200mm zoom and CV 75/1.8 lenses. I am quite much a prime lens guy but now that new zoom seems to be quite fantastic. I have experience on manual focus lenses too (CV and Super-Takumar) so that’s not a new area to me. Could you give some advice to me in this matter? Thanks a lot! I would always choose the prime lenses from Fuji and CV for this camera until the new zooms arrived. The world has changed…. Thanks a lot, Mark! There sure are some interesting options… Have to ponder this little bit more. I have Ricoh GR for the wide angle (28mm is enough wide for me), so I think I am not going to purchase any widen angle lens for my X-Pro1. Hi Mark. Thanks for the skinny on IR-X-Pro 1 conversion. Did you ever find out whether you had a bad copy of the 60mm lens? Do you have any further info re it’s (potential) IR hot spot? Hi Mark. Thanks for the skinny on IR-X-Pro 1 conversion. Did you ever find out whether you had a bad copy of the 60mm lens? Do you have any further info re it’s (potential) IR hot spot? Also any info on the 23mm lens vis-a-vis IR hotspot? Osceola, the 60mm is simply bad…. ALL OF THEM. It will not work in IR due to the hot spot. It is also a tough lens to use in color with a flash that can reflect back at you and will generate a bad hotspot also. It is true of them all. I have not tested the 23mm. I have no plans to get one. Sorry. The Fuji 55-200mm is a stunning lens! This is also a great portrait lens as well as a semi-fast telephoto. Great post, look forward to the next one. I use a Fuji for “regular” photography, but I had a Lumix 4/3 camera IR converted. I mention this to pass along that I sadly discovered the 20mm pancake to be unsuitable for IR but it seems that the Oly 45mm is fine. Yep, I am using a Leica now for most of my landscape work but still use my XT1! Fantastic website you have here but I was wondering if you knew of any community forums that cover the same topics discussed here? Sorry it took so long to reply, I have been in Alaska for 2 weeks. Hot spots mostly seem to occur if one uses lenses with plastic blades for the diaphragm, fuji 18-55 does, 35mm does not. The price is usually the clue! Nikon af-d lenses use metal diaphragms but a lot of af-g don’t. Thanks for the comment on your experiments. But I have to say that I have found several high end lenses with metal blades that give terrible spots too!